Ideal Girl: An non-intimidating, neat, honest girl who's bigger in size than him. My favorite one is Danny aka Taebin [he has like this solo career going on now...]! Hehe, he's soooo cute too! Edited by love*knots, 29 October 2006 - 05:46 AM. Edited by aivilo!, 17 July 2008 - 12:09 PM. yeah read here. i dont want to credit anything wrong so i'll put the thread here. haha same here. i actually got my friend to introduce me to taebin just a while ago. 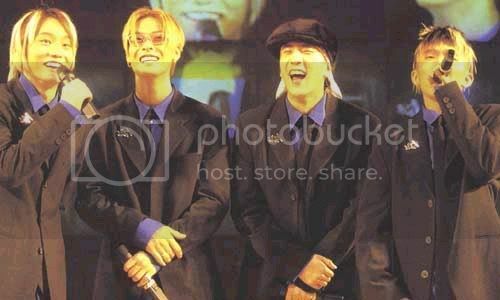 i knew who 1tym was but i wasn't a fanatic of them because my heart belonged to shinhwa. now...i'm still learning about 1tym. So, while Taebin is doing hs solo stuff, is 1TYM on a break, or did they disband? the gangster stuff...YEAH!! ^^;;; i <3 1TYM my fav. would be tied between baek kyoung and taebin. hehe then teddy and jinhwan. Edited by SueTinG, 28 September 2004 - 03:08 AM. i heard that taebin doesn't know that much korean? is this true?? by listening to his song i can't really tell. and in his bio it doesnt say where he was born. I dunno can anyone clear this up?? ^ yeah, they should be working on their 5th album now. i heard that taebin only went solo `cause teddy was in usa and japan since he has to leave korea or he`ll have to go to the war or something. correct me if i`m wrong. Edited by shortmei, 25 October 2004 - 05:37 AM. I heard that Danny is having another album coming out around next year...but they are working on their fifth album right now...does any one know if its true or not? i donno bout danny and a new album but his solo career was pretty successful he'll prolli do it. and yea he's back wit 1tym right now recording. cant wait for their 5th album! yaaayyyy i cant wait for 1TYM new album too!!! =DDD!!! i want the 1tym 5th album too! i live in canada and i can't find anything!! T_T!! but fav member is taebin <3! would do anything for him man <333! i dont think their 5th album is gonna come out soon because i hear that danny and teddy are gonna be in LA for 4 months recording it. I really wanna go to LA, im so close too but there's school. Hopefully when i have time to go they still gonna be in LA. omgi heard that jinusean was like rushing for 1tym to send out their 5th album then teddy told them to chill because he wasn't satisfied with one of the songs so then jinusean said ok fine but faster the better..! then danny and teddy are taking a break in LA x_x!! so i hope they better give out an album quickly im so excited XD! i heard their 5th album is gonna come out around May. Hopefully they wont push it back again. unique songs and their personailities are awesome. Their new song "Can't let you go" is more of an R&B song then hip hop. I love this song so much. Its the only thing i have been listening to these pass days. I can't wait for their new album to come out. It was suppose to come out 05/05/05 but it didn't. It would had been cool if it came out that day because is their 5th album and it make seen to come out that day. You know..05. The title of 1tym album always have something to do with which ablum it it. like the first album is "1tym for your mind' and the second one is "second round" and so one. There is always a number in the title where it indicate which album it was. I'm wondering what they gonna do with the fifth album title. Me and my friends started making up names for it..haha. "fifth time for your mind?" Hopefully it come out soon. It has been so long since i saw all of the 1tym memebers together. I miss teddy! taebin's cute and hot... love all his songs...especially conflict feat. se7en!! i have it!! want it?? add me in msn XP!! Wahhh I miss 1tym! I was really anticipating their album in May, but was really disappointed when they postponed it. So it better be goooood!!! I also liked their newest single, Can't Let You Go...I've been playing it nonstop when I first heard it, but like many other people, I think that it has a more Taebinish feel than the usual 1tym style. Hopefully their new album will be like their 4th album, if not, better! =D Gahh and I really wanna see their comeback or mv sooon! 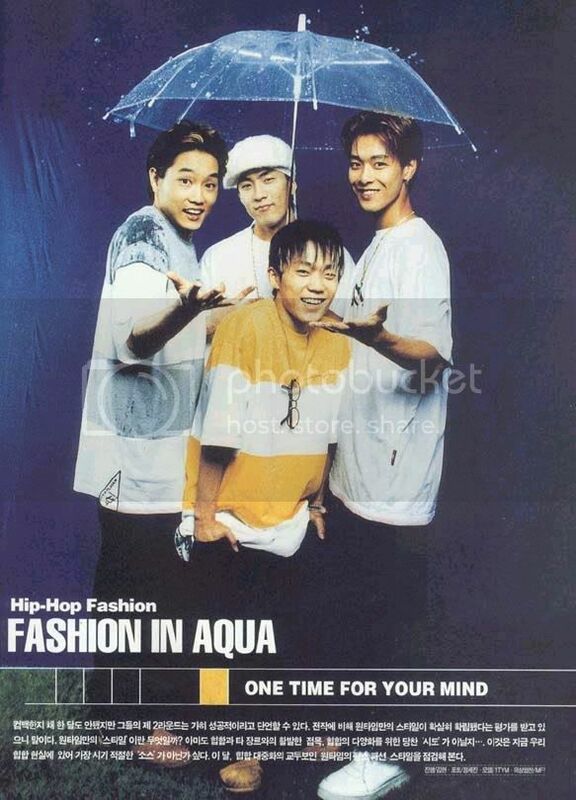 my fav band... along wif se7en ^^ their music is soo good my fav are "it's over" "im falling in love" "Don't stop" "collision" "cant let yu go" "sarang~~~~ forgt the name =P"
i love 1tym. they each have different characters and i love every single one of them. xD baekky because he's so cute. jinhwan because he's so funny. danny because he's serious yet playful when he's with se7en. xD and teddy because of his amazing rapping skills. Taebin was born in Southern California. Wow, no wonder why his English sounds good He sing that song by Mario "I Don't Wanna Know" in English with some guy..It sounds pretty good. Edited by Maddie, 29 July 2005 - 07:35 PM. I cant wait for their 5th album to come out..last time i heard it was suppose to come out this month, but i havent seen it out yet, hopefully it will be soon. I hate it that they kept on pushing it back. Cant let you go was such a good song..the MV was hot..glad to see all of the 1tym members again. WOOT!! i'm still waiting for the 5th album! and did anyone see taebin's new look!?!? w/ all the cornrows oh god...i'm not much into the hiphop hairstyle..i wish he goes back to the "taebin" blonde hair!! 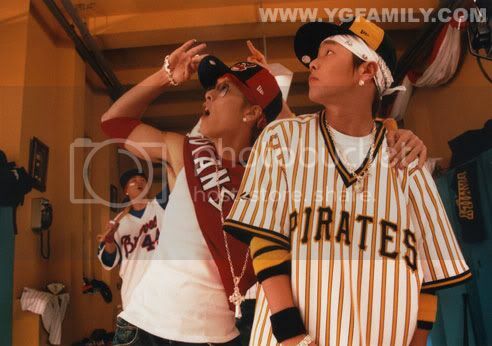 T.T he had long cornrows @ the YG Thank You Concert...and at first i thought that was TEDDY! they r awesome anyone know if they gonna have a new album soon? I think Taebin's music is very influenced by 1TYM. They've grown so much from their first album, but somehow, I like their first and last album, the 2nd and 3rd wasn't too bad. Are they making another album?